Canberra Duo / Band 644 offers a versatile service no other band can match. This is affordable, quality and experienced live entertainment guaranteed to enhance and personalise your event. Canberra Duo / Band 644 is the most affordable live performance option in Canberra. They can offer a six-piece band for the equivalent cost of most four-piece bands with no compromise on absolute quality. 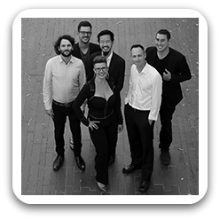 Canberra Duo / Band 644 can also offer a variety of line-ups including a jazz trio (instruments only), and an acoustic guitar/vocal duo. Made up of high level musicians, including graduates of the ANU School of Music, Canberra Duo / Band 644 offers a level of musicianship very few bands can deliver. This level of quality results in an exceptional repertoire catering for a limitless range of styles to suit everyone. 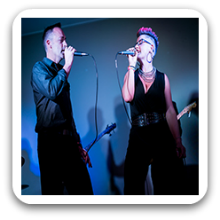 Canberra Duo / Band 644 have extensive experience, having played pubs, clubs, birthday parties, weddings, corporate events, Christmas functions, charity events, presentation nights and gala balls over many years. Canberra Duo / Band 644 has a versatility and professionalism that only comes with experience. They know what works and will customise an entertainment package to suit your needs. Can perform as a: Duo, 3 and 6 Piece Band and are available to perform in Canberra and Surrounding Areas.